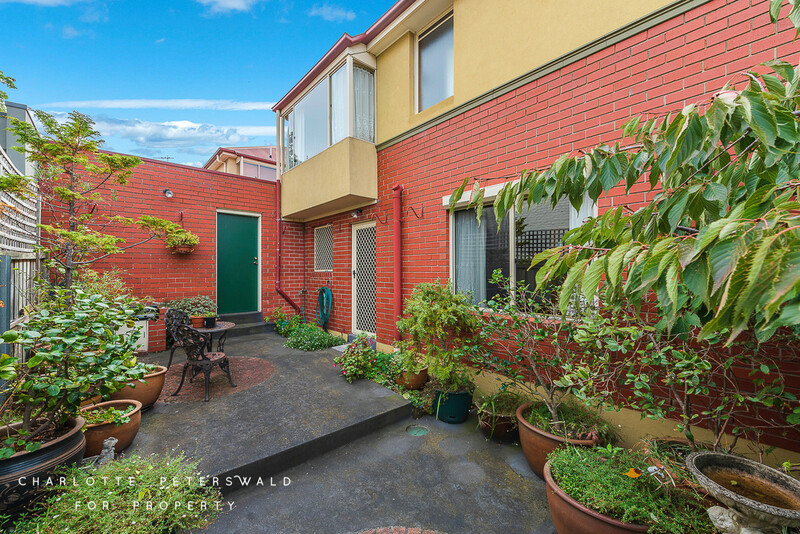 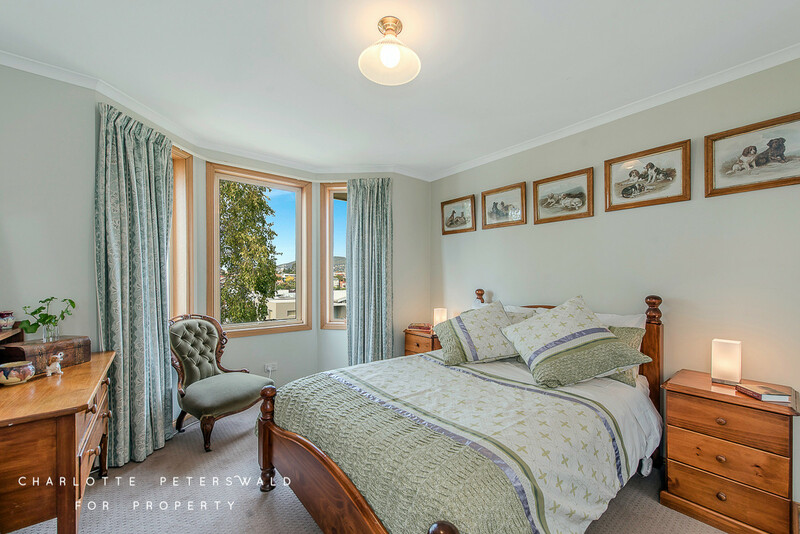 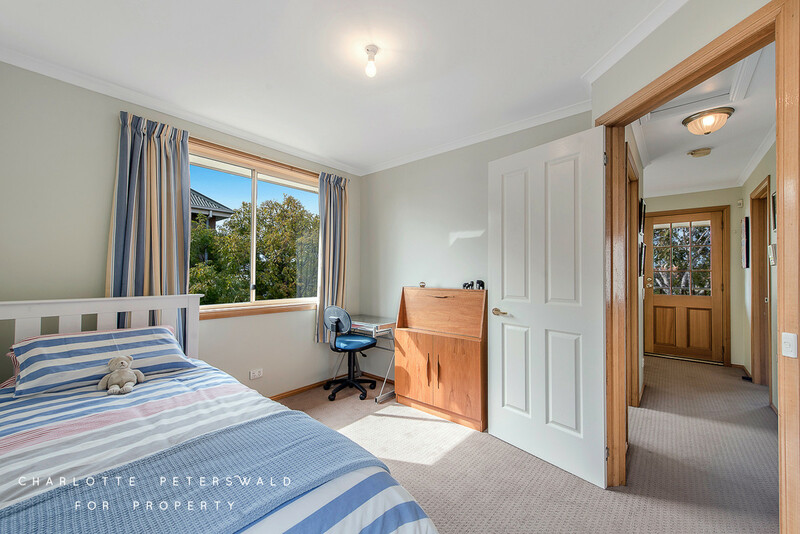 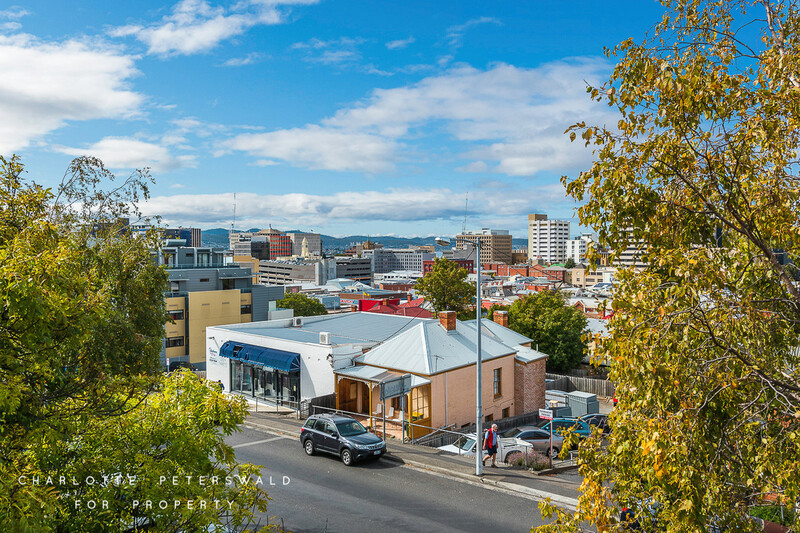 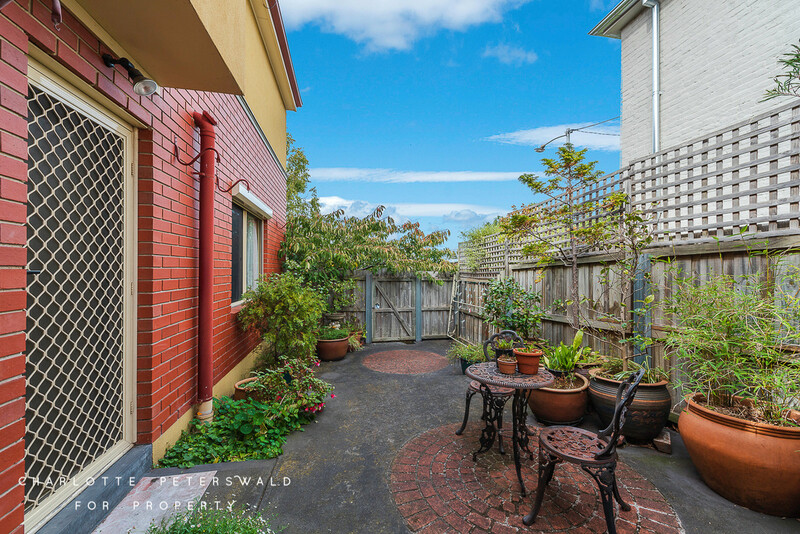 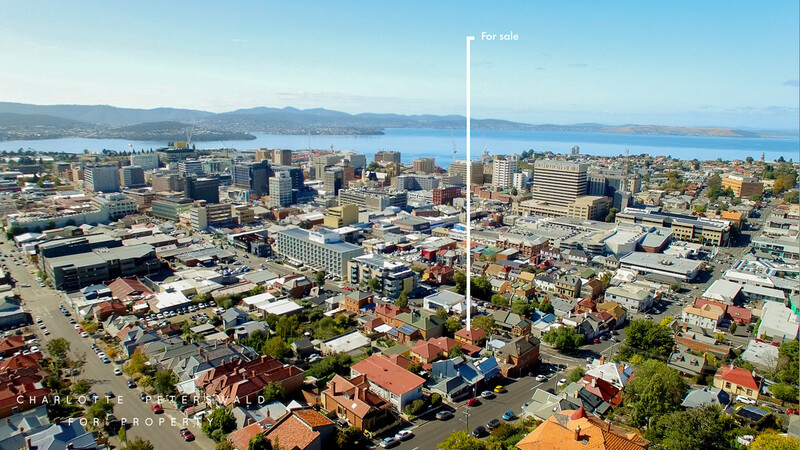 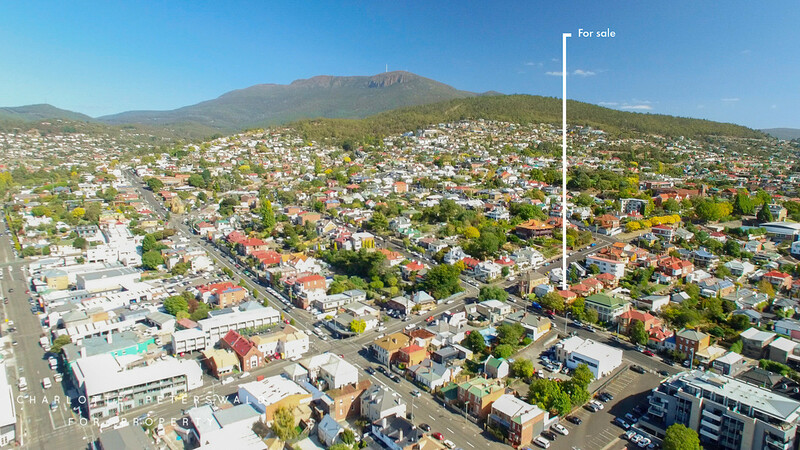 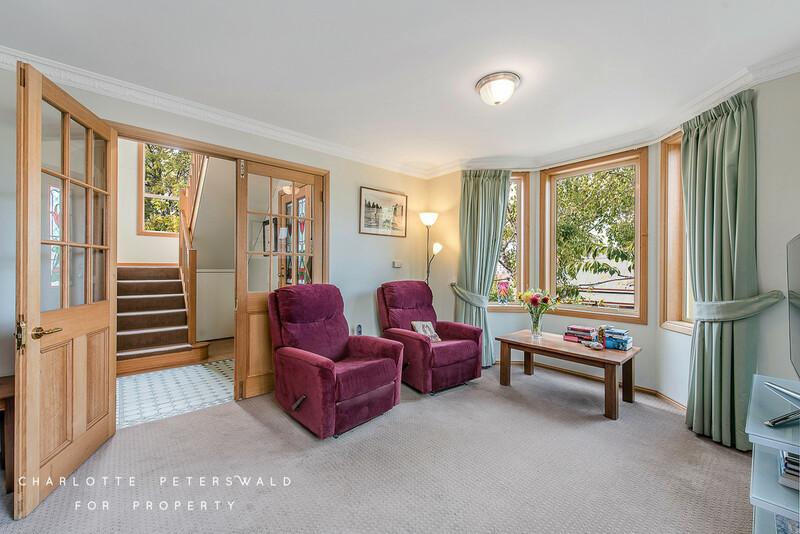 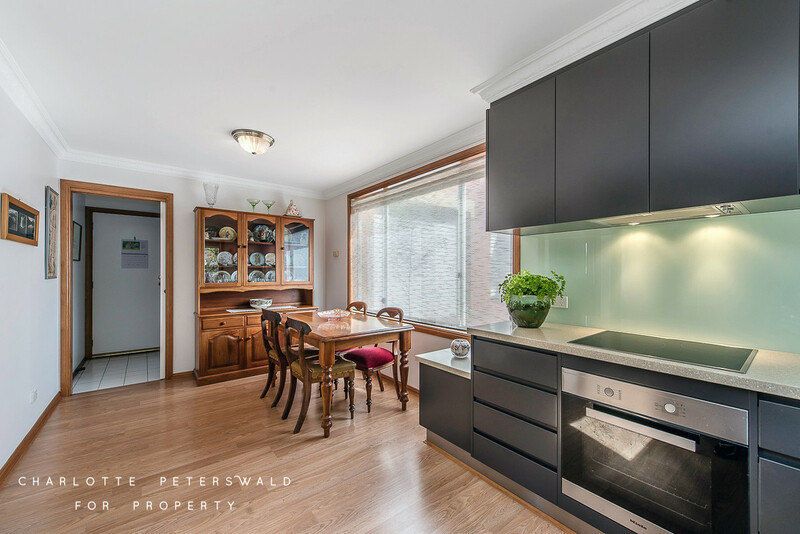 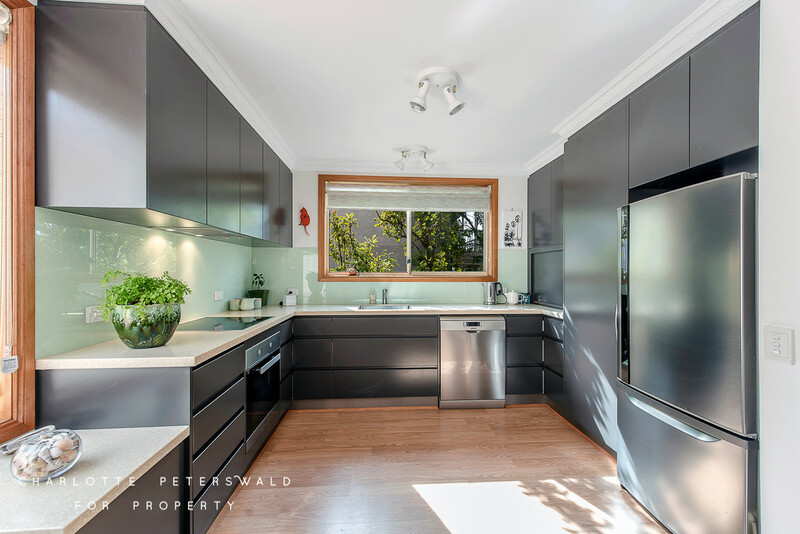 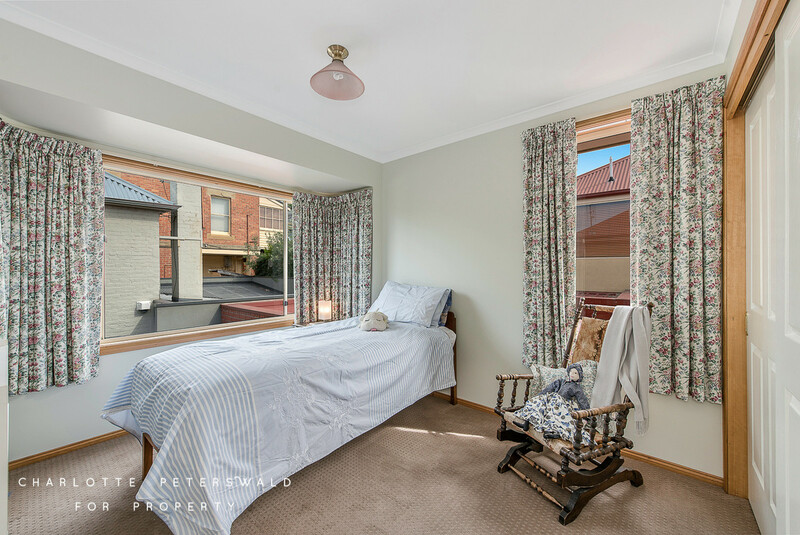 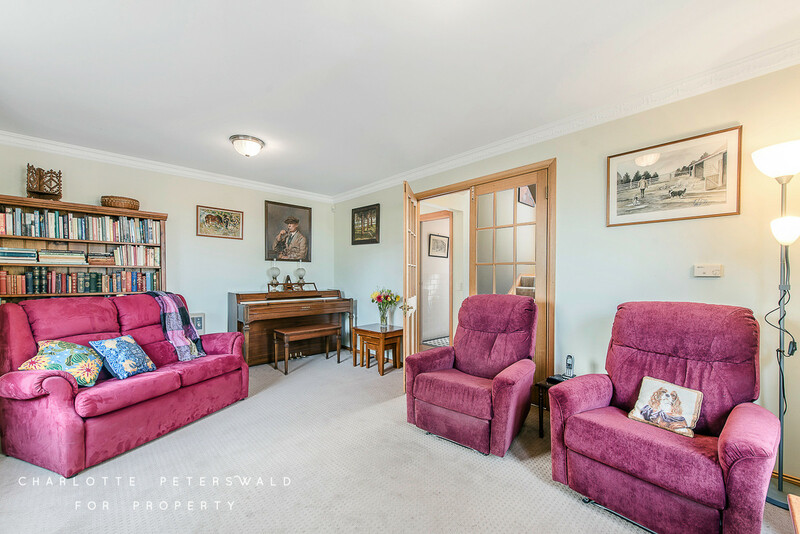 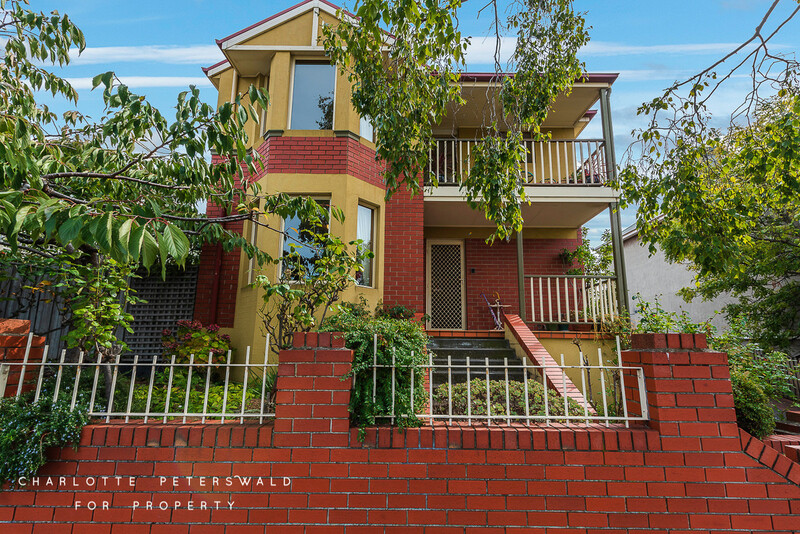 Conveniently located within close proximity to some of Hobart’s finest eateries and vibrant local attractions, this delightful townhouse in Hobart combines the ease of city living while instantly making you feel right at home. 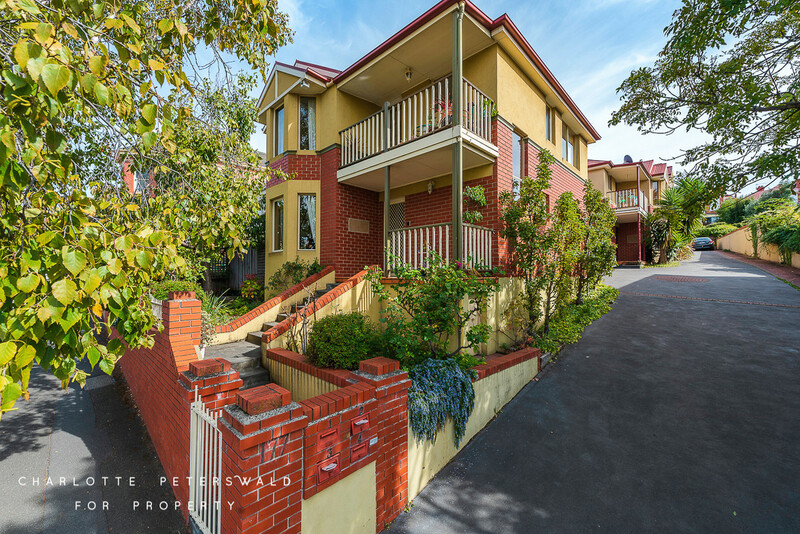 Split over two generous levels, this warm and cosy home enjoys contemporary upgrades necessary for modern living. 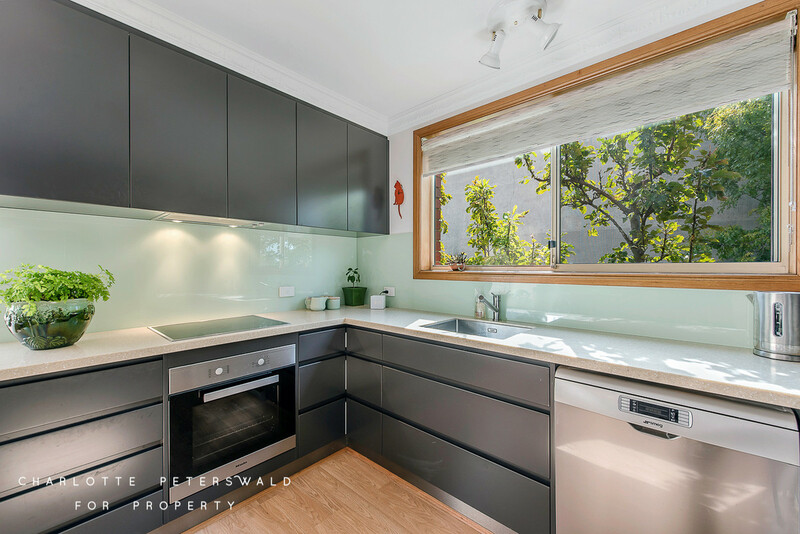 The ground floor is home to a near new and stylish kitchen with quality appliances including a Miele oven, induction cooktop and rangehood and Smeg dishwasher. 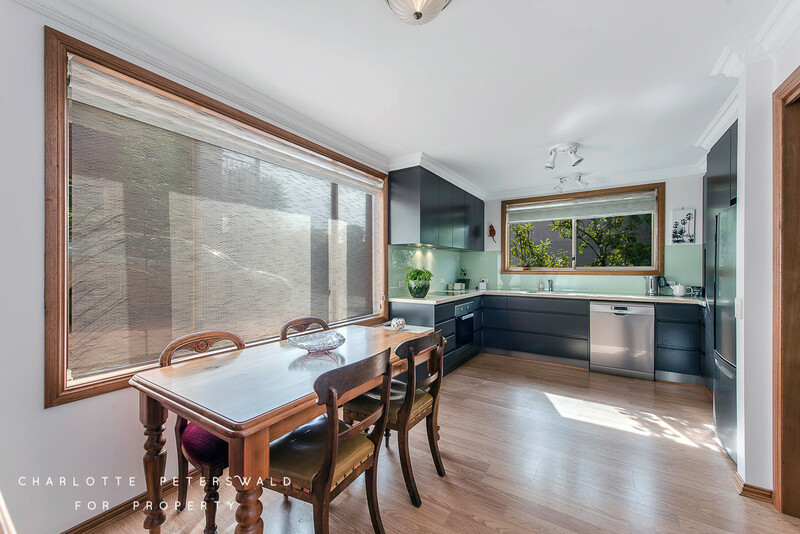 The combined dining room basks in an abundance of sunlight and opens out to a private and spacious courtyard. 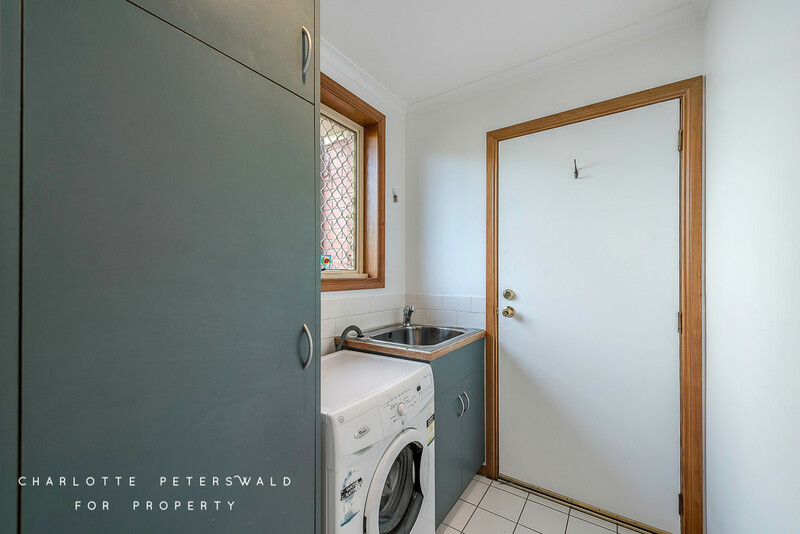 The sleek style of the living area also flows through to the internal laundry with room for essential appliances and storage. 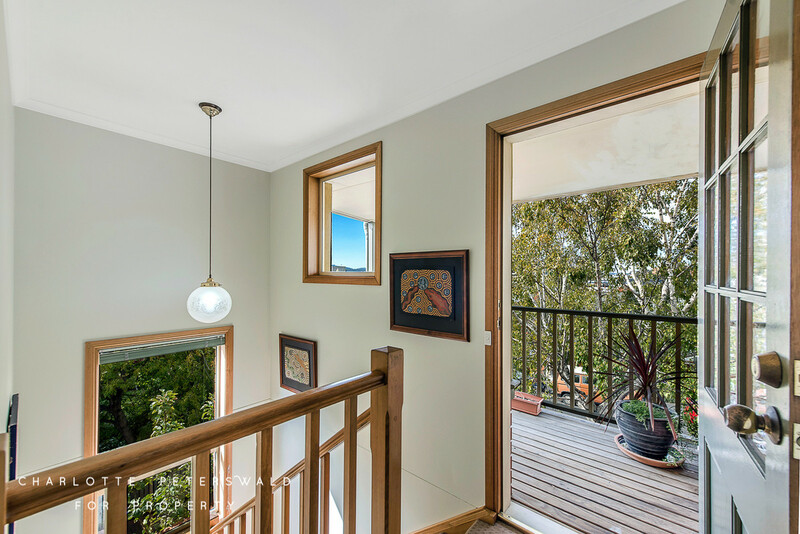 From the foyer entrance, the living room invites you to relax in style and comfort while enjoying the natural warmth via the bay windows. 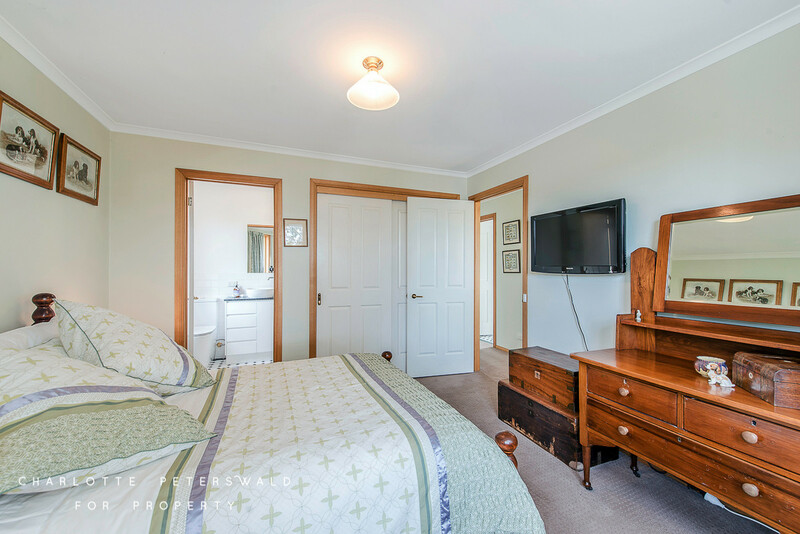 Upstairs, three sizable bedrooms await, all with built-in wardrobes. 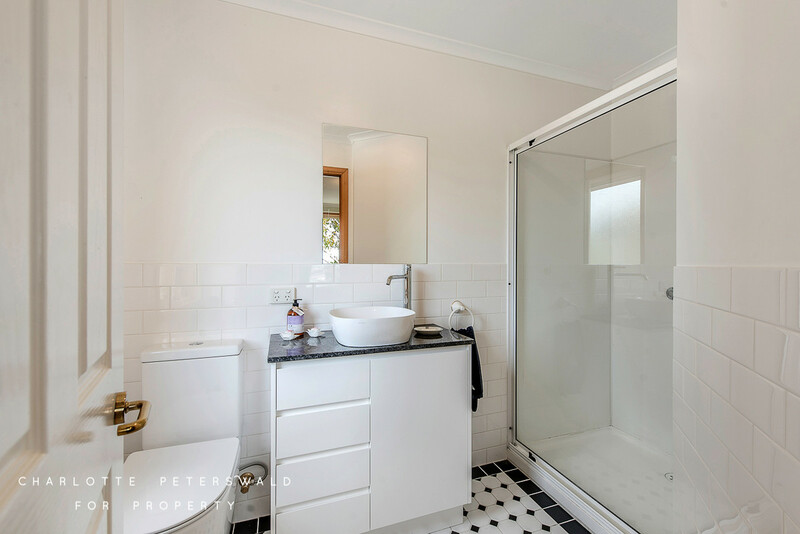 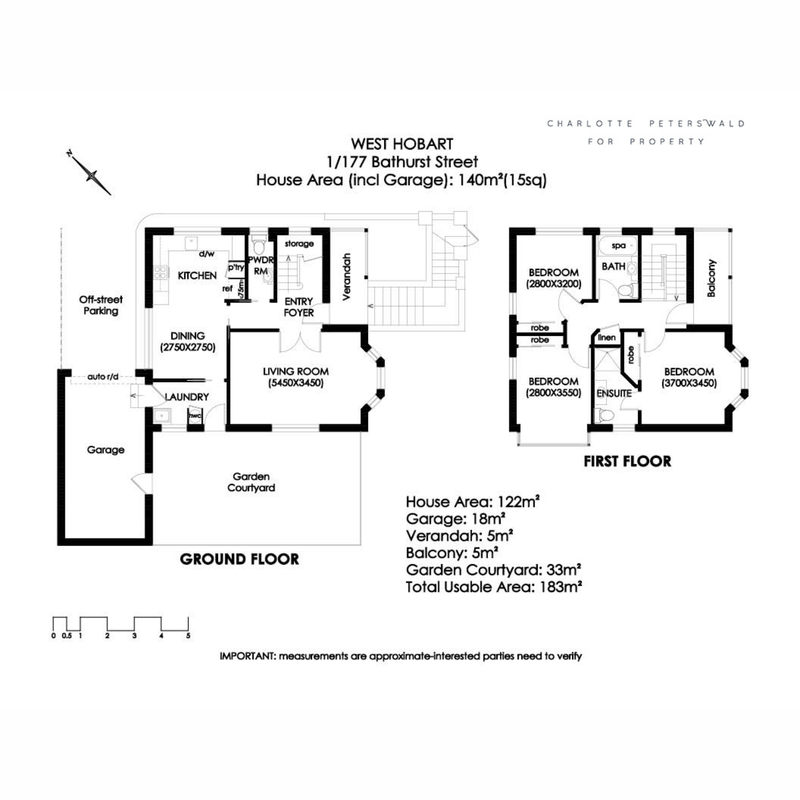 The master bedroom features an en-suite and the main bathroom features a spa bath. 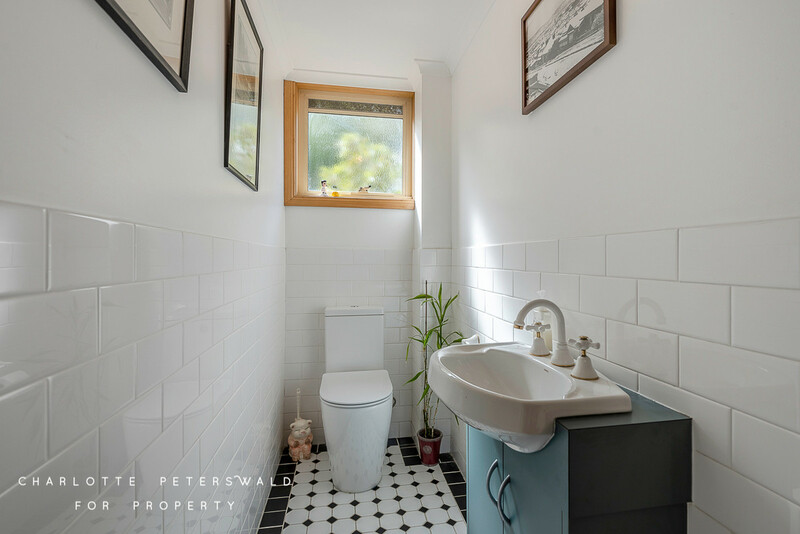 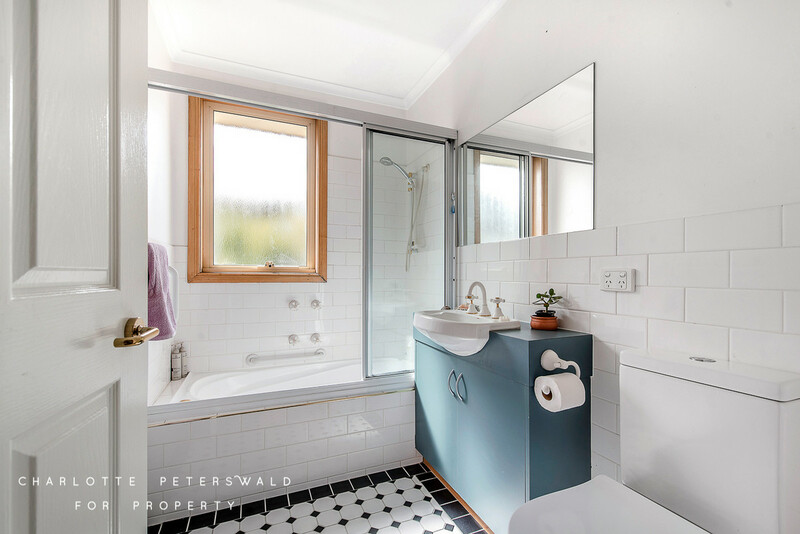 Each bathroom enjoys quality German commodes, including the additional downstairs powder room. 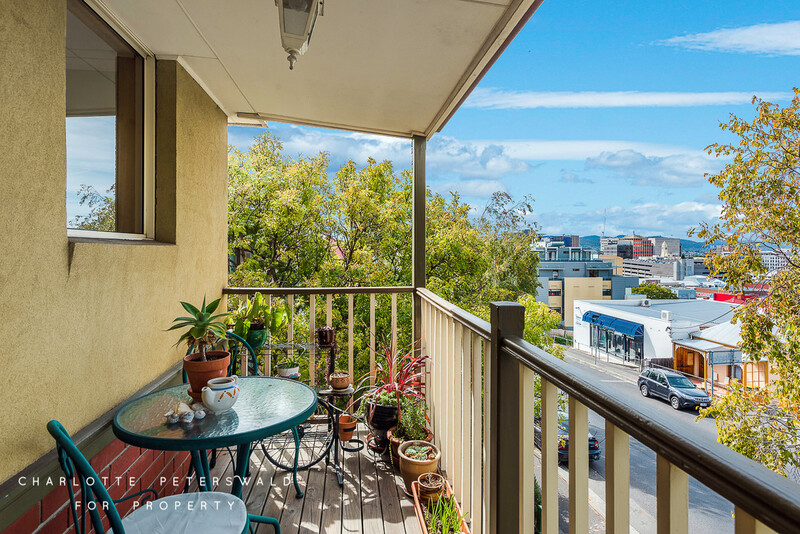 Enjoy the city views from the upper-level balcony and immerse yourself in the leafy outlook from the lower-level veranda. 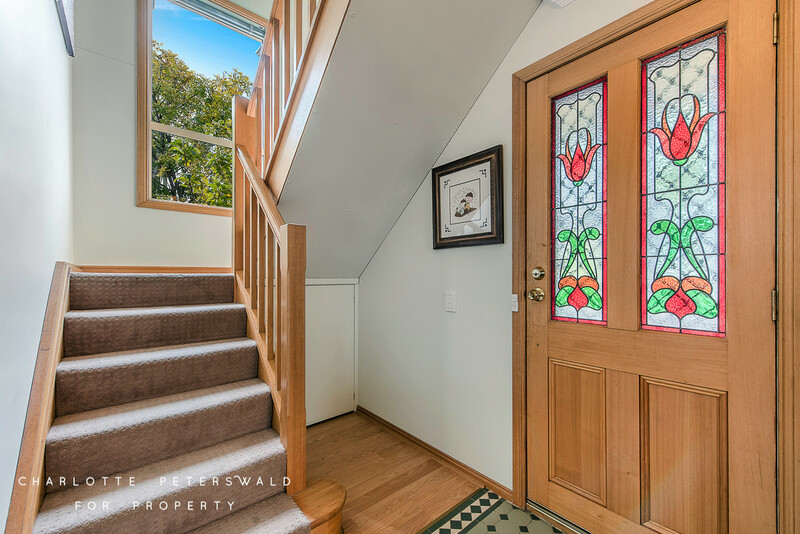 The garage with automatic roller door provides security, plus off-street parking for an additional vehicle.